We have officially entered into our Final week, Week 3! Although I felt like I had lost weight, at weigh in this morning I was down only .6 since week 1. Total weight loss to date 6.6 lbs. 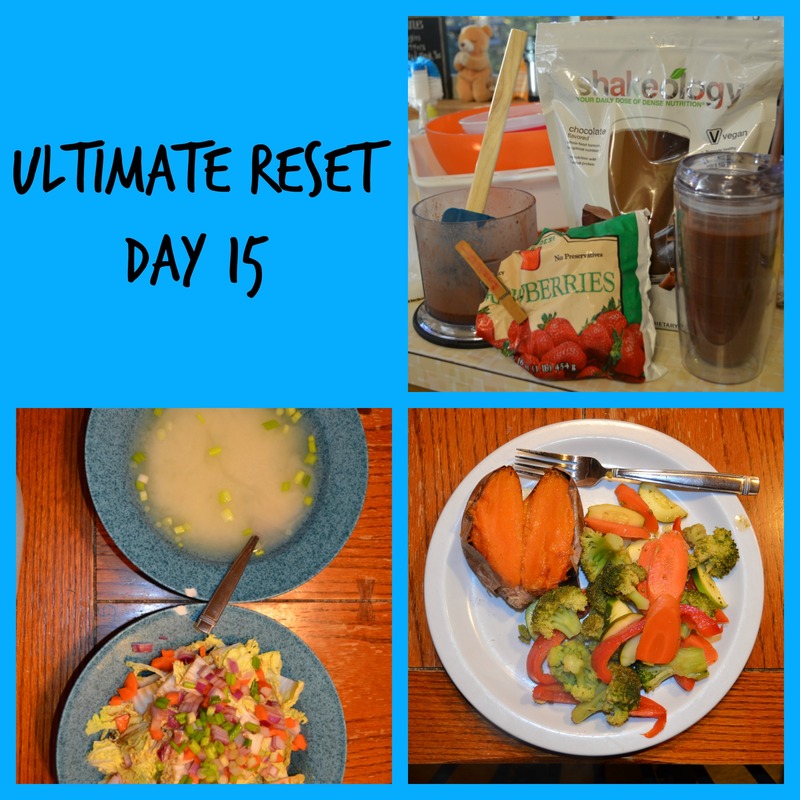 I’m not doing this Reset to lose weight, but I did have a few extra pounds that I added at the end of the summer so it’s nice to have them gone again. And frankly I was surprised that I did lose weight because I’m eating so much food at every meal it’s crazy!!! Lunch was really good, but when I was done I was about to explode! Miso soup minus the seaweed and Asian cabbage salad. There were so many onions in my salad that my chest was on fire by the time I was done eating. Green onions in my soup and salad and red and green onions in my salad. It was so good though, I didn’t stop eating until it was all gone. I was anticipating dinner all day. I couldn’t wait to eat my sweet potato! I sauteed some Garlic veggies and that was dinner.